Greetings Everyone, in this blog-post you will learn how to override default_get method in Odoo 8. Return default values for the fields in fields_list . Default values are determined by the context, user defaults, and the model itself. a dictionary mapping each field name to its corresponding default value; the keys of the dictionary are the fields in fields_list that have a default value different from False. When is the default_get method called? The default_get method of a model is called whenever a new record for that particular model is created. Here, what I want to do is, I want to pass default values for country, city, website, and email fields in res.partner model. This was the scenario in the beginning. Whenever i clicked the ‘Create’ button in Customers Form (ie. res.partner model), it opened up a blank form view as shown in the picture below. Here as you can see all the fields in the form are blank by default. Now I want to pass the default values for country, city, website, and email fields. Now I will override the default_get method of res.partner model. Here, first call the super method of res_partner method. It will return you a dictionary with keys as the field name and default values of fields if given. I searched for the Country India in res.country model and passed its id as value to the Many2one country_id field. ie. I updated the dictionary returned by the super method. @api.model because the record is not yet created and hence it does not have a id. Similarly, updated the fields for city, email and website and returned the dictionary. 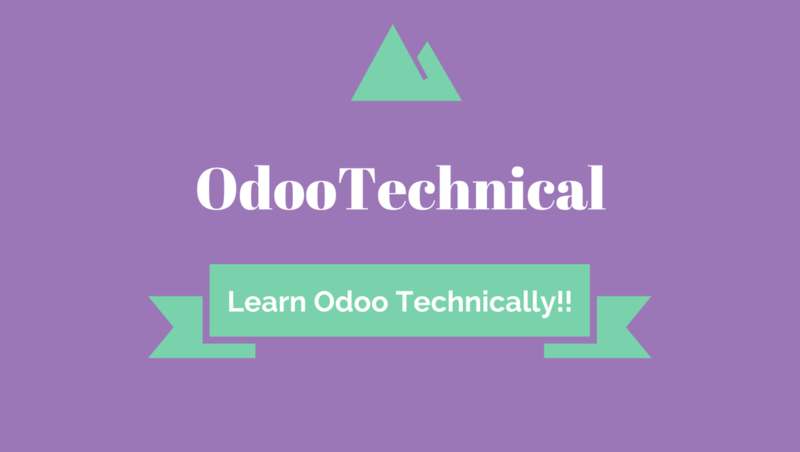 Hope you got an insight and understanding of the default_get method in Odoo 8 and the way of overriding it. Explained very well. Great Blog. Must Follow.